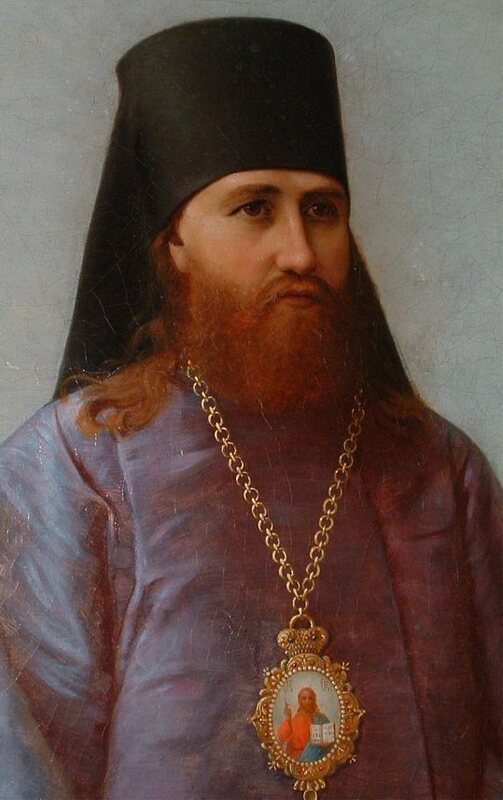 Metropolitan Saint Innocent of Moscow and the Holy Synod approve the Western Rite specifically for the United Kingdom at the behest of Dr Overbeck. The Patriarch and Synod of Constantinople gave conditional approval to the use of the Latin liturgy and Benedictine office. 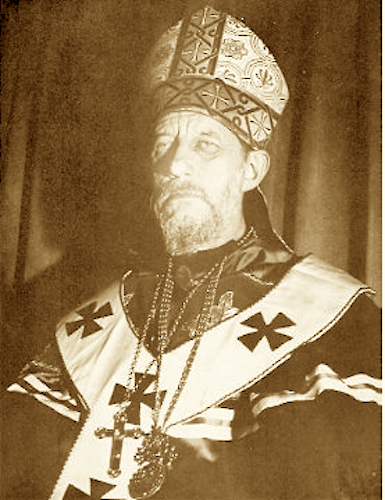 The Western Rite Diocese of Moravia and Silesia was organised in Czechoslovakia under the Holy Synod of Russia. 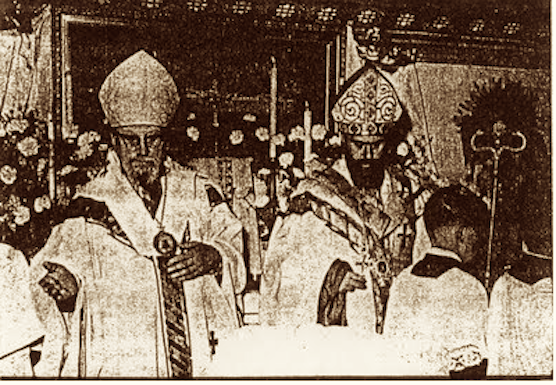 Archbishop Tikhon (Later Patriarch saint Tikhon of Moscow) and Bishop Saint Raphael (Hawaweeny) assisted by Fr. 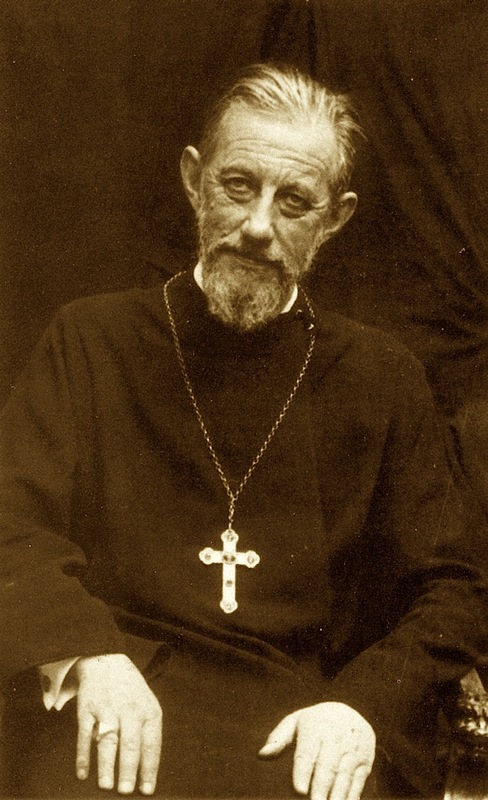 Saint John (Kochuroff) petitioned the Holy Synod of Russia to permit the adaption of the services taken from from the Book of Common Prayer, for use by Orthodox people.The Synod set up a Commission which reported back in 1907. The Rituale Romanum was blessed by Metropolitan Gerassimos (Messarah) of Beirut for English use in 1912, and later revised. 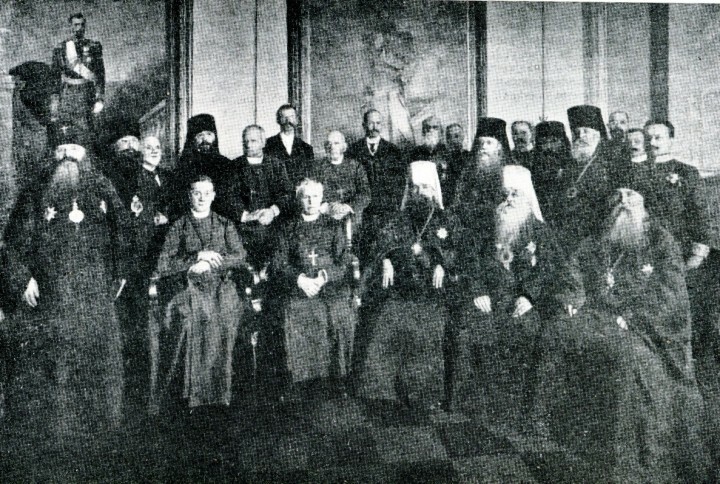 The same year a group of Church of England bishops attended the Holy Synod of Russia meeting in St. Petersburg, and met with the Metropolitan Eulogios and his Society for Rapprochement with the Church of England. Germans September 4th. 1941. The diocese was later forced to change to Eastern Rite. 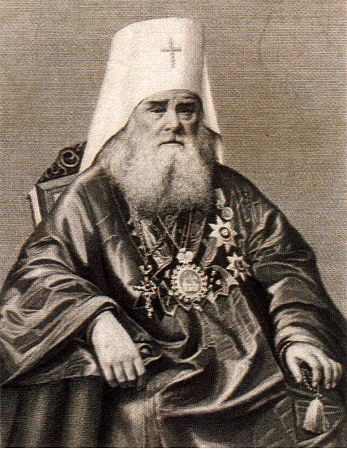 Anthony (Khrapovitsky) First Hierarch of the Russian Orthodox Church Outside of Russia. 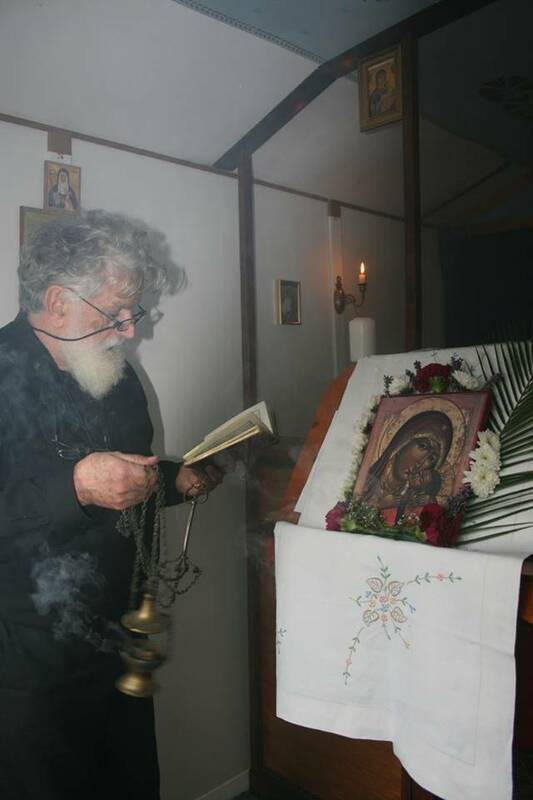 The Russian Fraternity of Saint Irenee in France (headed by Vladimir Lossky and Evgraf Kovalevsky) acting under metropolitical guidance, celebrated the Western Rite in a Parish church for the first time. 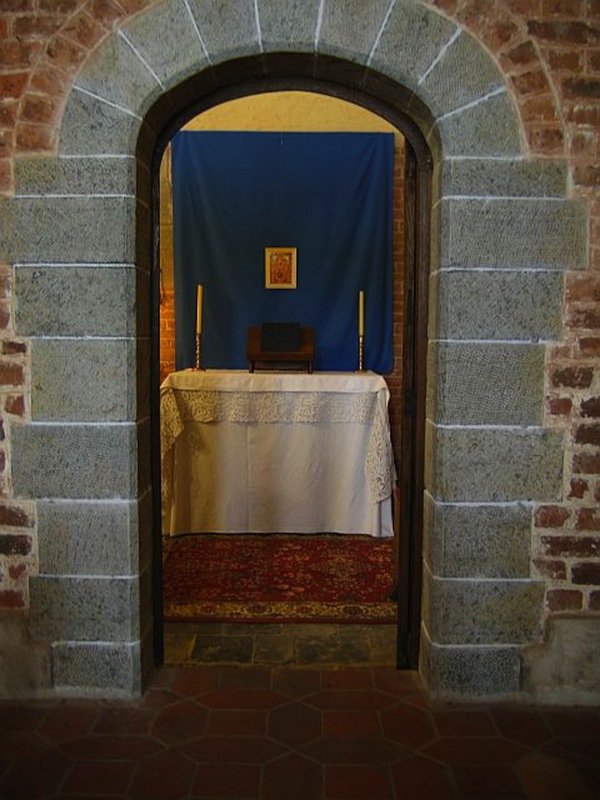 Under the terms of a Moscow Ukase, the Western Orthodox Church in France, was set up, headed by Fr. Eugraph (Kovalevsky). 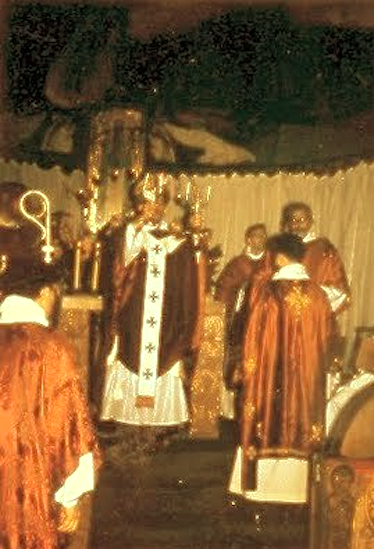 A group of Old Roman Catholics led by Louis Charles Winnaert formed the original core membership of this Western Rite national Church. Fr. 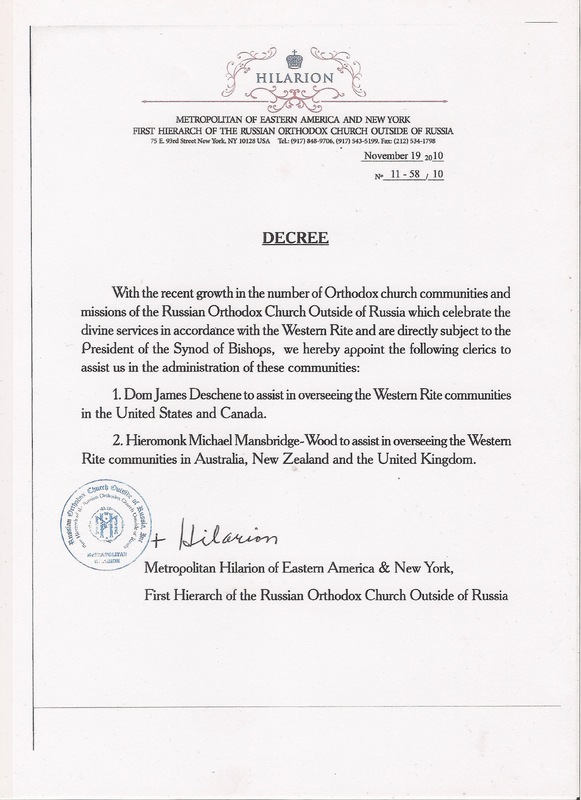 Denis (Chambault) professed as a Benedictine within the Moscow Patriarchate in Paris. He founded the Saint-Denis & Saint-Seraphim de Sarov Priory in rue d’Alleray. Fr. 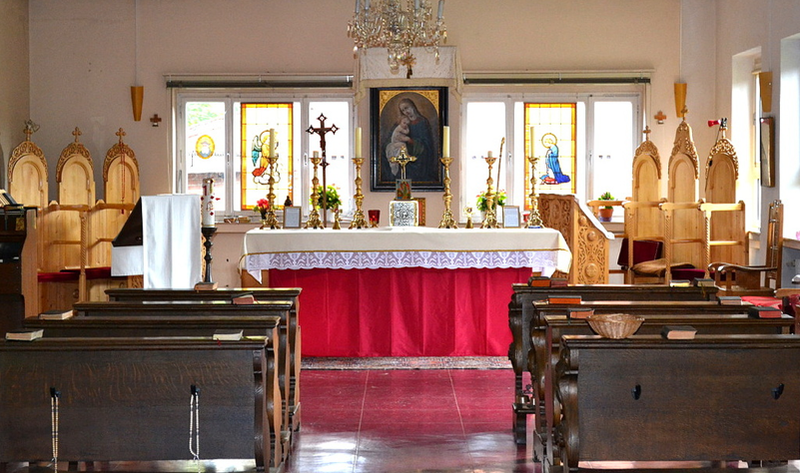 Eugraph (Kovalevsky) completed a restoration of the ancient first millennium Gallican Liturgy – the Liturgy of Saint Germanus. Fr. 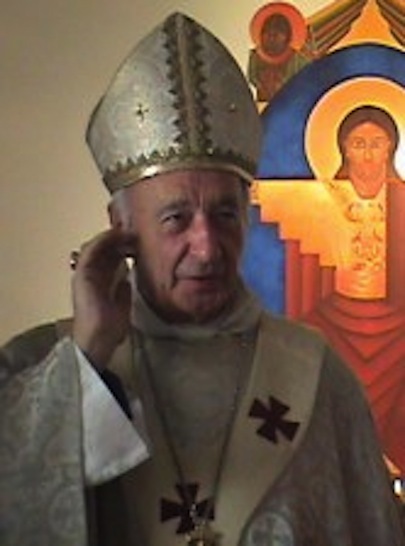 Gregorio Baccolini, a Benedictine monk was received in France. 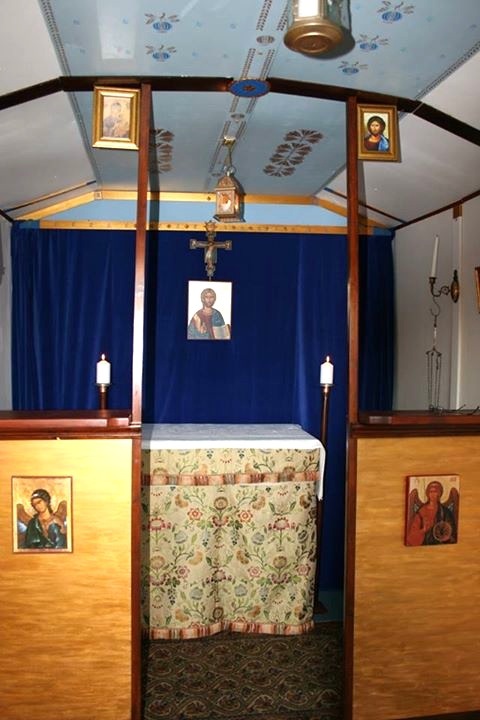 He set up a small Orthodox Benedictine house in Rome. 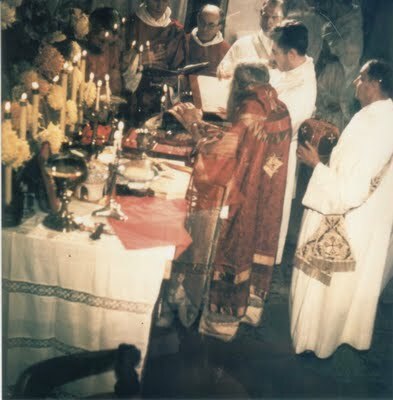 ROCOR’s Archbishop Saint John of Paris celebrating the Western Rite in Paris. The Church in France overseen by Saint John continued from then on. 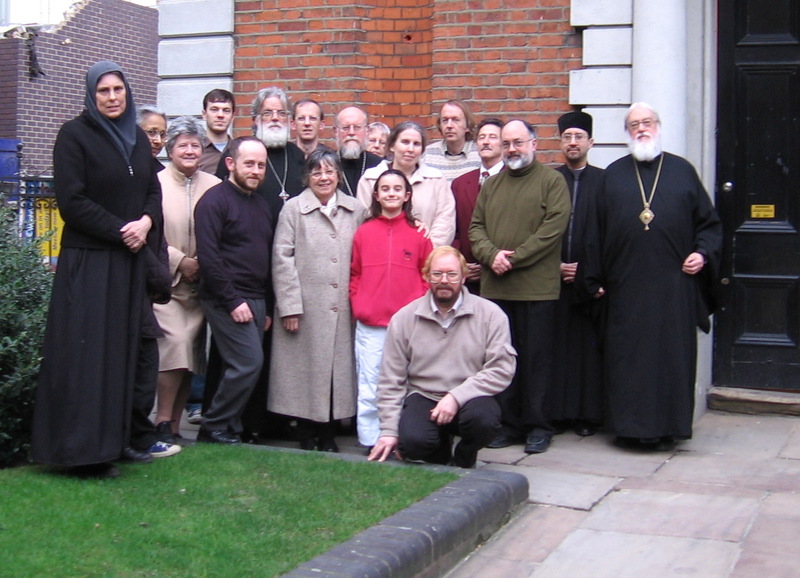 A group of Church of England clergy and people had formed themselves into a group called “Pilgrimage to Orthodoxy” with the intention of becoming Orthodox Western Rite. 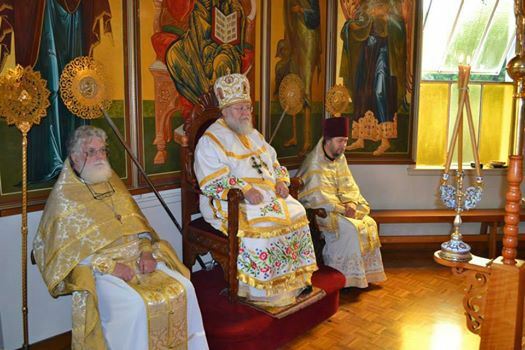 A press release was issued stating that they were being received by the Antiochian Orthodox Church in America under Metropolitan Philip. 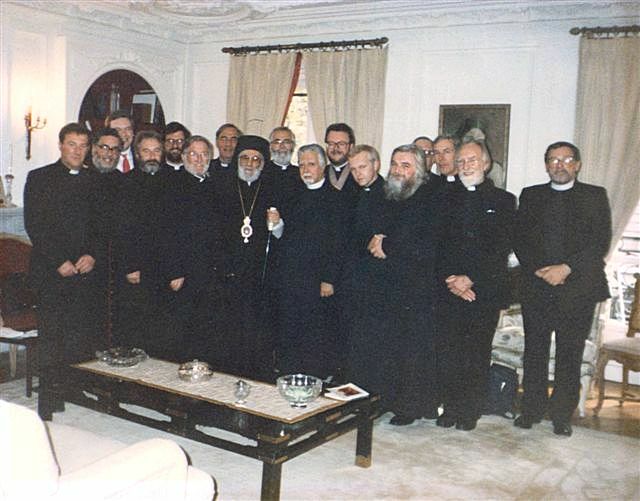 However this was later rescinded and they were received under somewhat different circumstances under the Antiochian Archbishop in Paris. 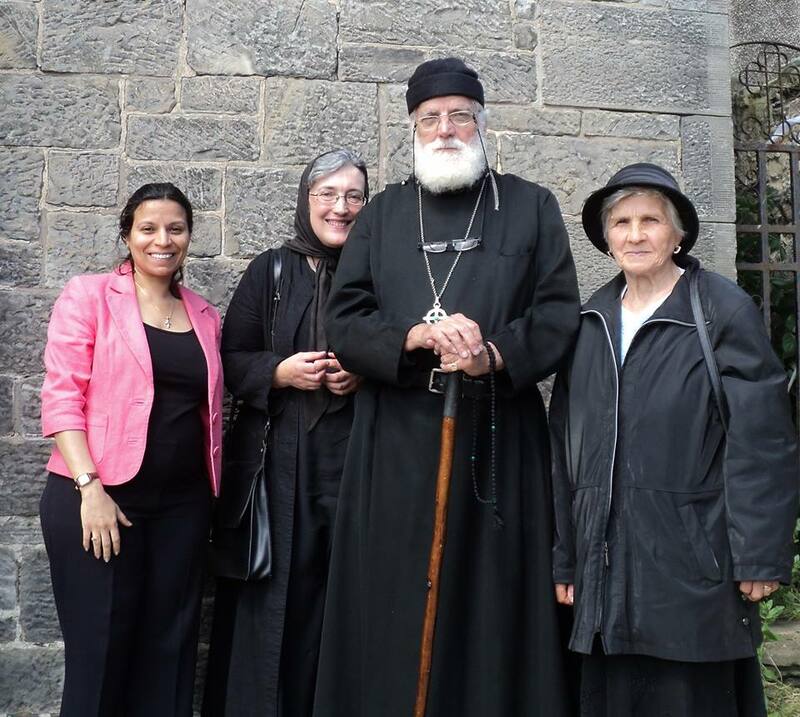 In 2000, Fr Michael (ROCOR, Hieromonk) was studying at York and connected with local Orthodox families as well as people in Doncaster. 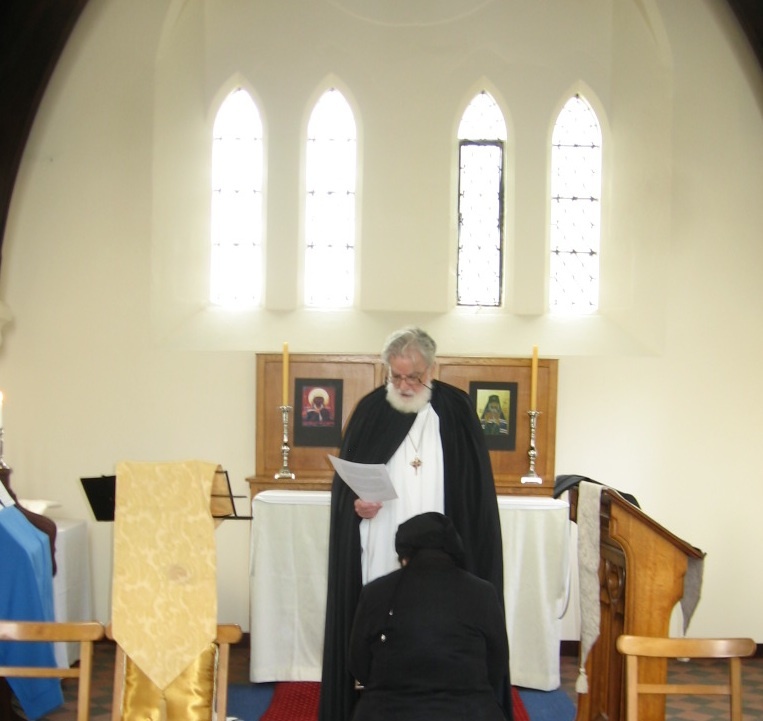 Assisted by Fr Dennis Moffat, Fr Michael celebrated the Western Rite Divine Liturgy at the cemetery chapel at Hatfield Woodhouse. 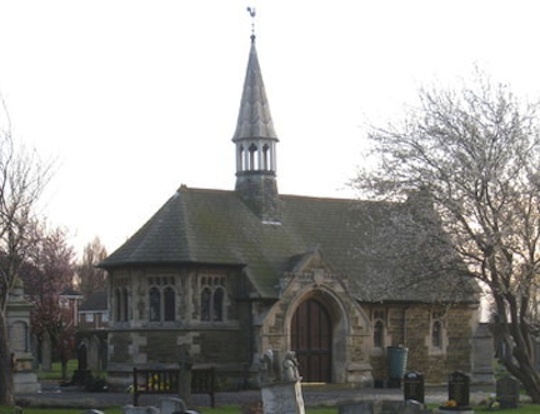 Hatfield Woodhouse is a quintessentially protestant town, being one of the earliest places that Wesley preached, and of course has a number of Methodist churches. 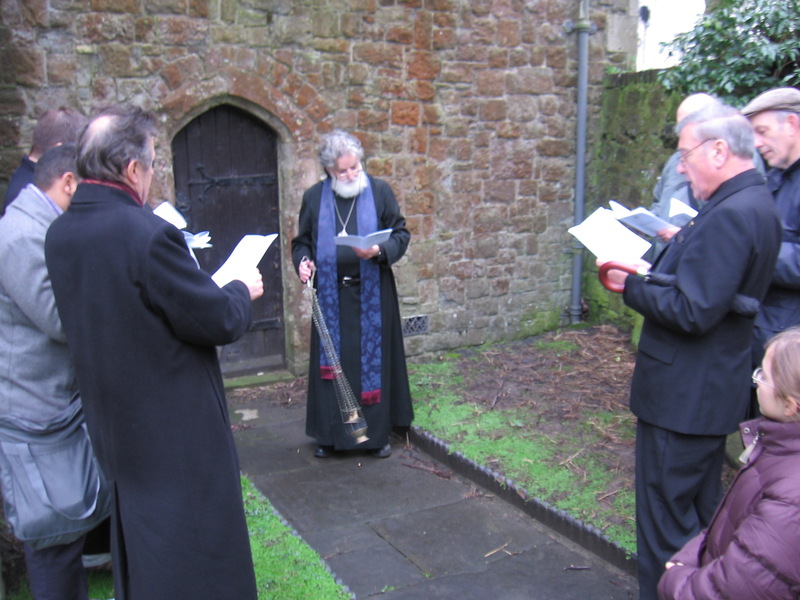 Interestingly a number of Methodist people including a minister attended our services – and sang very well. 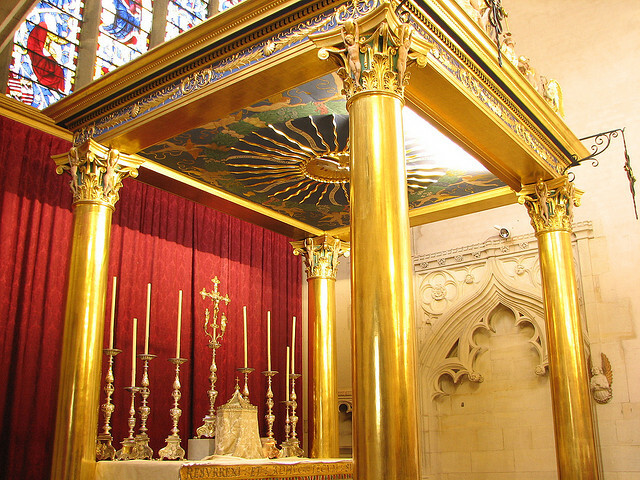 In 2001, Fr Michael and his cell attendant David spent some months in France at the invitation of the Orthodox Church of France (l’ECOF) in order to understand the church there. 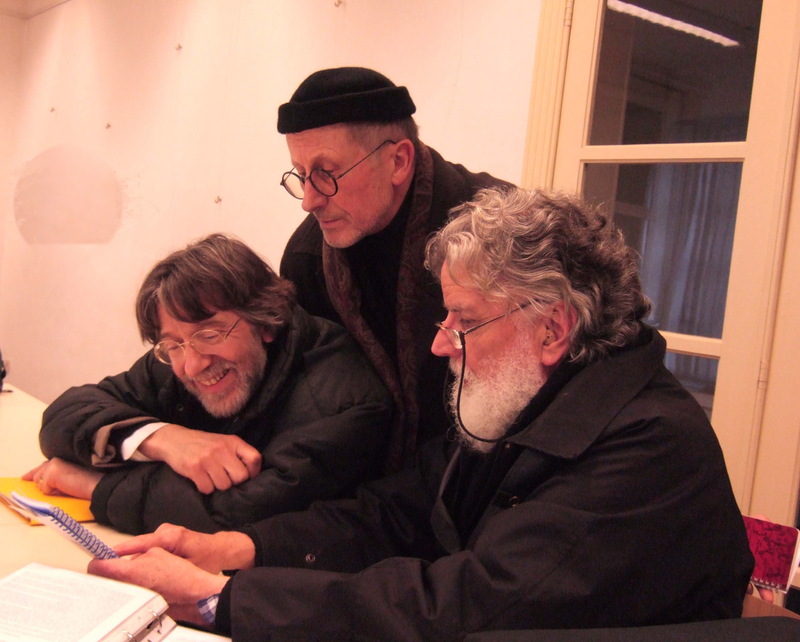 Part of the time, they lived in the Bishop’s house in central Paris and for the winter at the monastery of the Transfiguration and Saint John of ShangHai and San Francisco at Saint-Marcel-Campes in Tarn not far from Cordes sur Ceil in the south of France. The monastery was built on the base of a Cathar castle destroyed in 1204 and the lower storeys were original castle building. 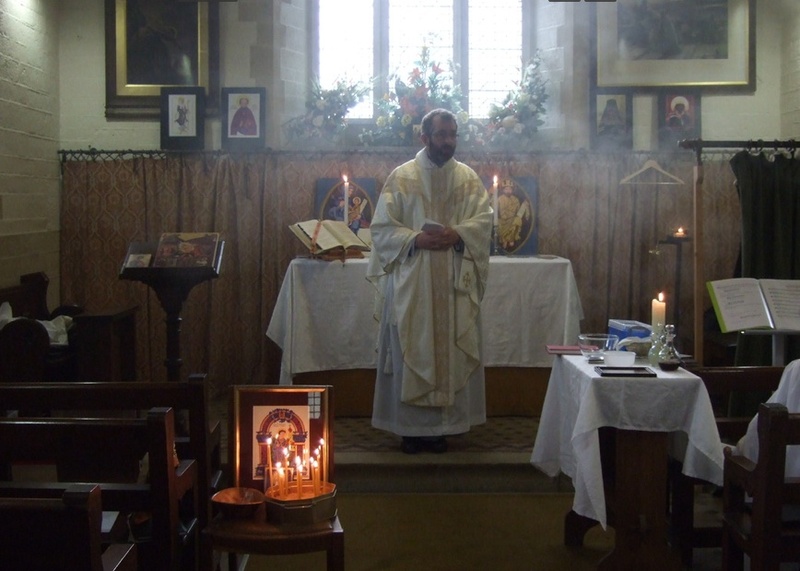 Fr Michael celebrated the Western Rite in the monastery chapel for local people. 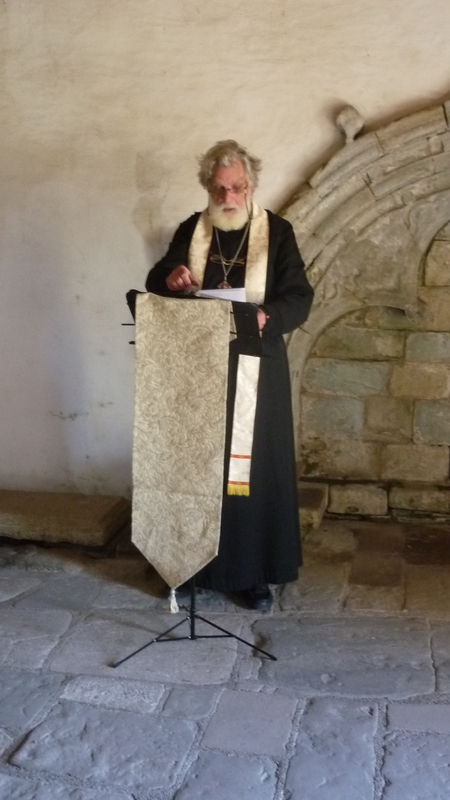 At the conclusion of his visit, Fr Michael gave the ROCOR Synod a report on the Orthodox Church of France. 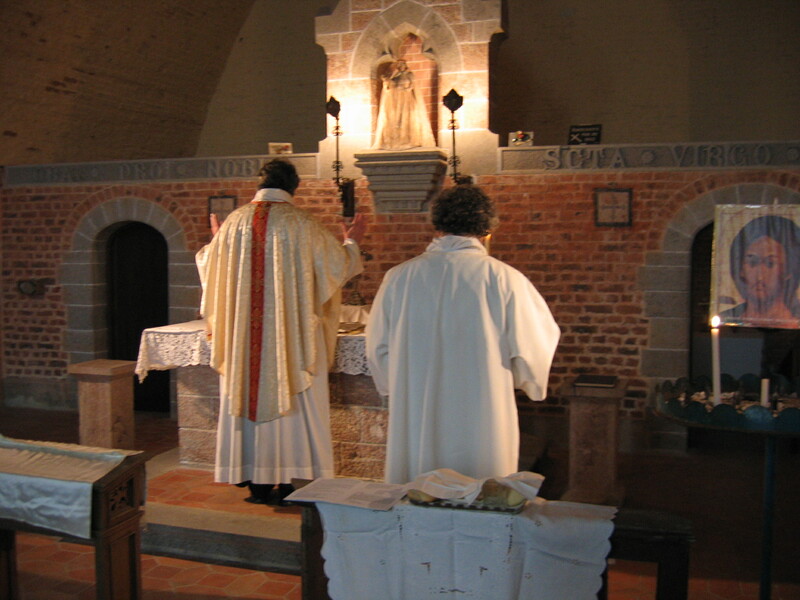 Then in 2006, Fr Michael was in Belgium at Philippeville where he celebrated the Western Rite Liturgy in several local churches and chapels. 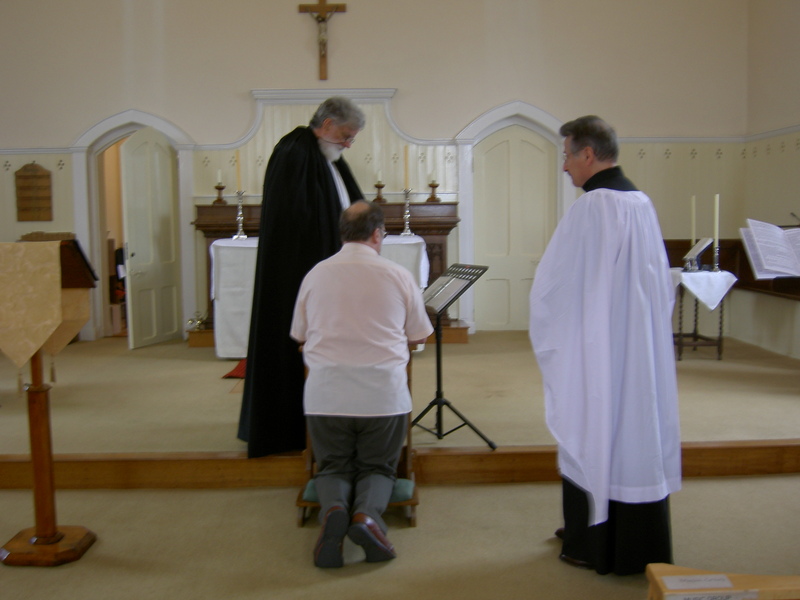 Here at a borrowed Roman Catholic church Fr Michael is assisted by a local Greek Orthodox Deacon. 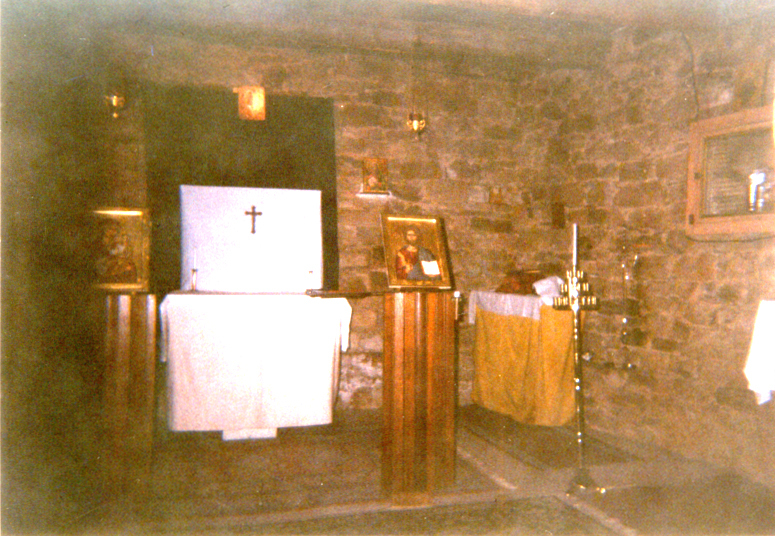 Eventually, local people set up their own Western Rite chapel. 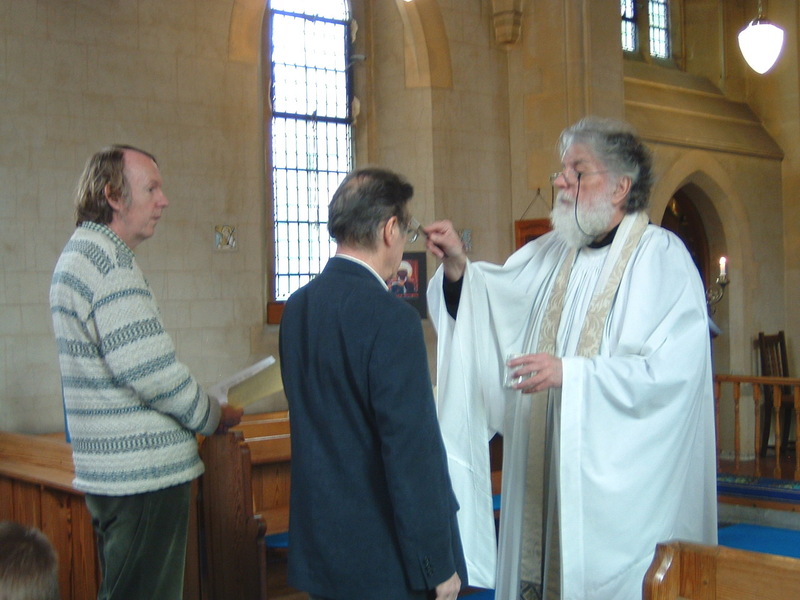 In 2007 a retreat was held at Hawkinge near Folkestone in Kent to coincide with the centenary of the 1907 decision of the Holy Synod of Russia regarding Western Rite. Fr. Michael and Fr. Barry conducted the sessions of the retreat. Retreatants came from England, Belgium and America. 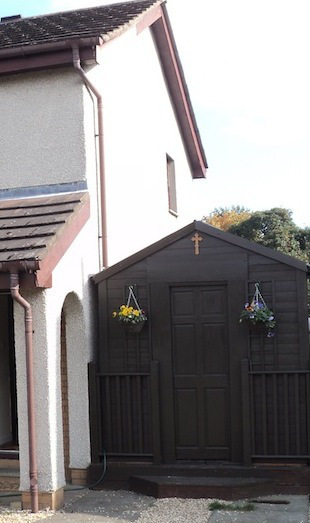 The retreat was held at The Grange in a large former barn which had been converted to luxury accommodation. 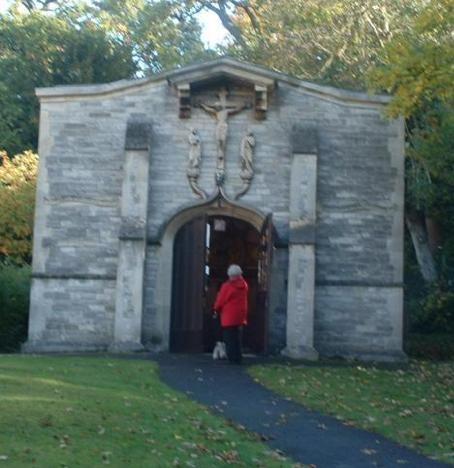 On the Sunday the Western Rite Divine Liturgy was held in the Church of Saint Mary the Virgin at nearby Capel le Ferne. 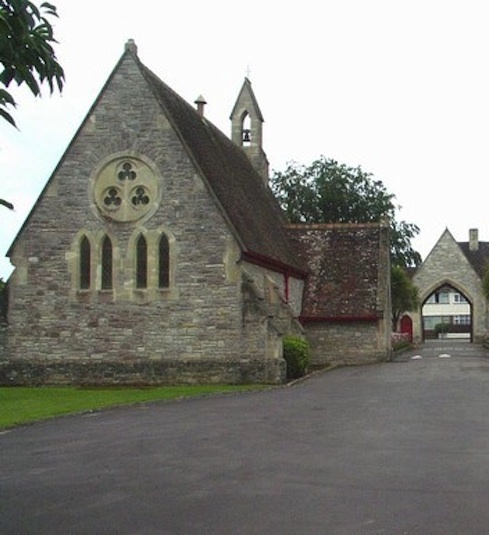 This church was built in AD 1030 and is little altered. 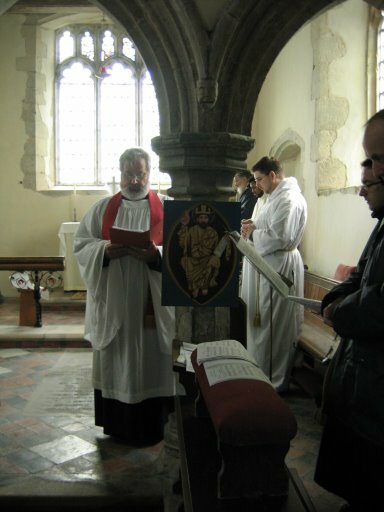 Fr Barry reading the Epistle at Capel le Ferne. 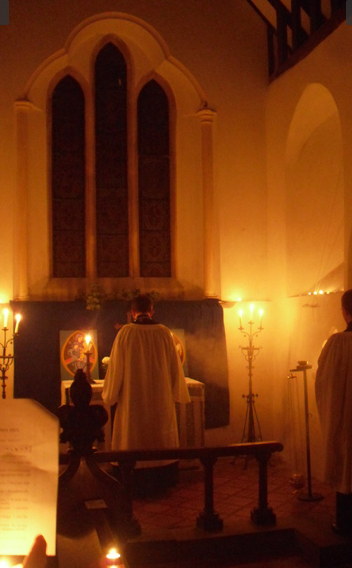 The Recession at the end of the Liturgy. 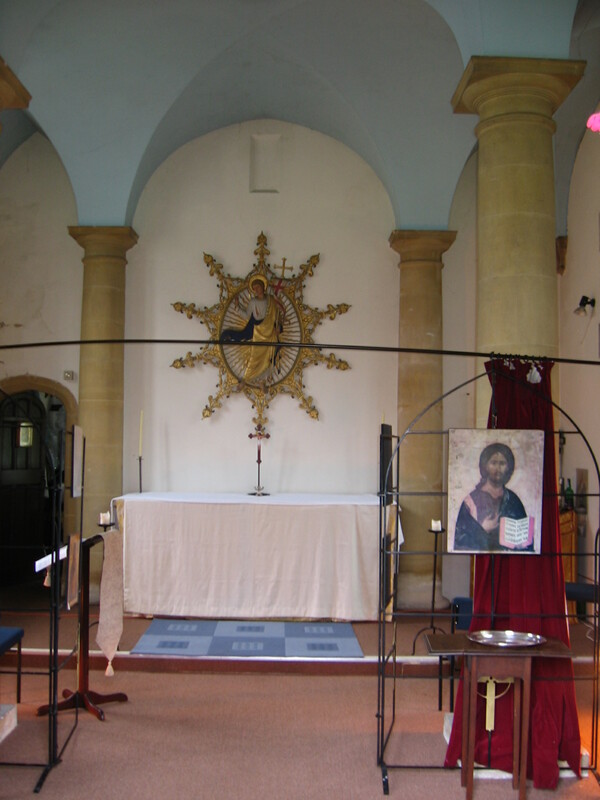 Venerating Saint Eanswythe as close as we could get to her shrine in Folkestone not far from our retreat house. 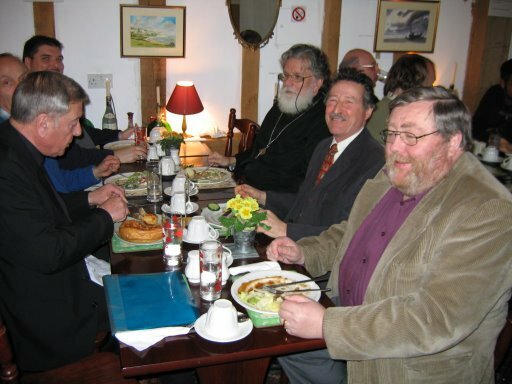 A few days later after Metropolitan Hilarion consecrated the new upper church of the Dormition cathedral in Harvard Road London there was a celebratory lunch, Fr. Michael here with an Old Catholic Archbishop. 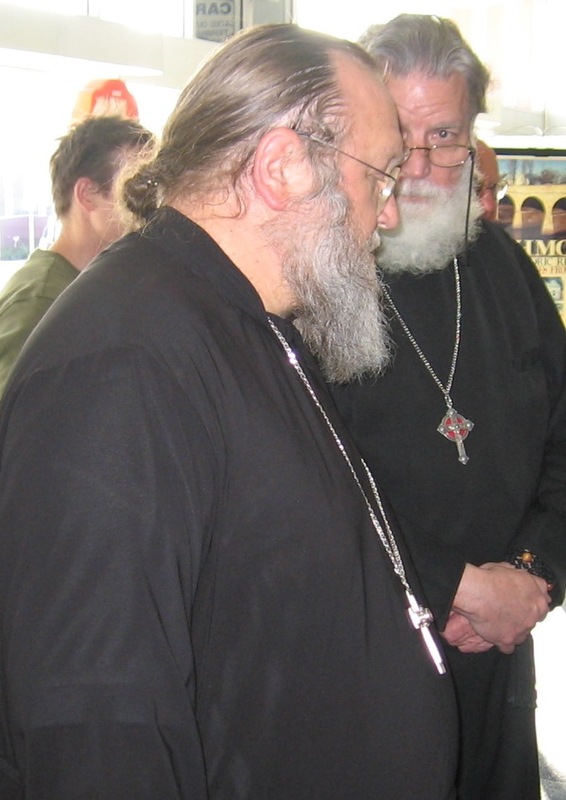 After lunch, Metropolitan Hilarion instructed Fr Michael to officially start to set up Western Rite Missions in England. 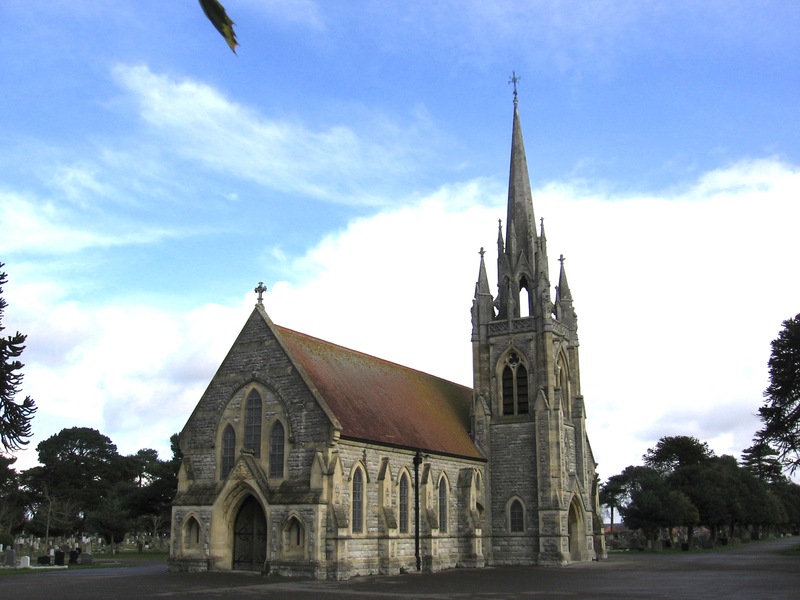 And so Saint Eanswythe mission began using this church in Southbourne, Bournemouth. 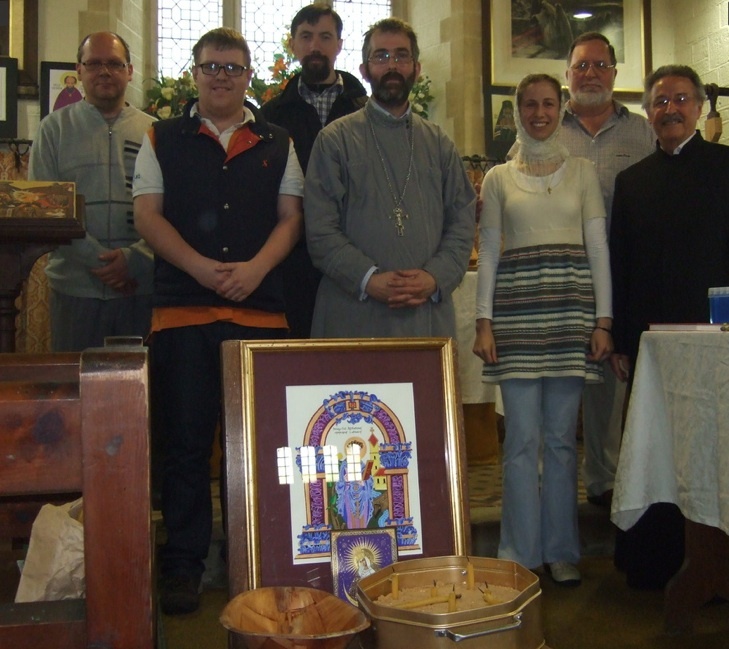 Friends with their newly blessed icons outside the church. 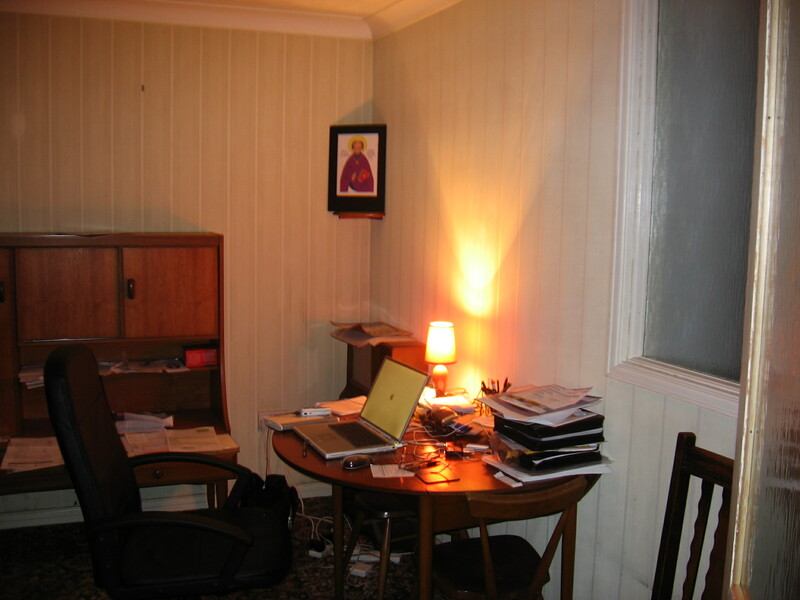 Fr Michael’s study in Bournemouth. Fr. 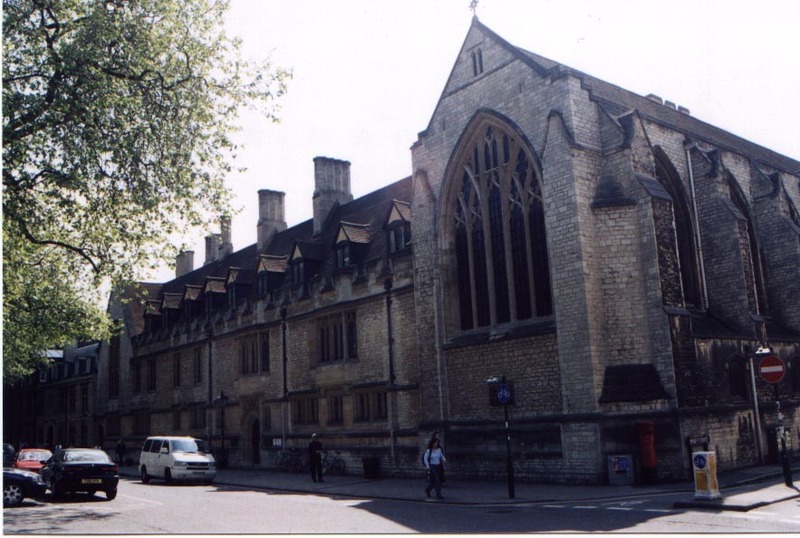 Michael was living at Pusey House Oxford, where he had meetings with Metropolitan Kallistos and Bishop Basil. At the time he worked at recruiting some academics to the cause. 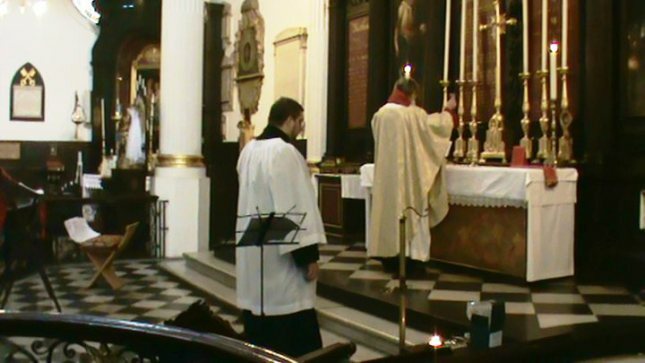 A Western Rite meeting and Liturgy was held at Saint Magnus Martyr in London. Fr. Michael celebrated, Fr. Sergei heard confessions and Ari Adams served. 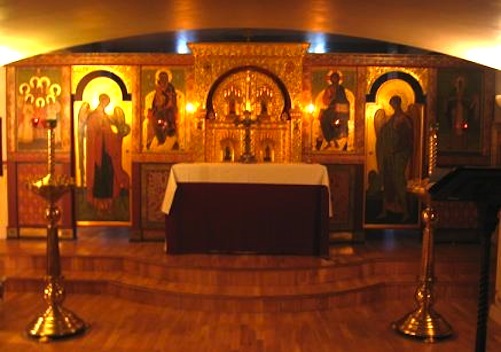 The lower church at the Dormition ROCOR cathedral in London set up for Western Rite Liturgy. 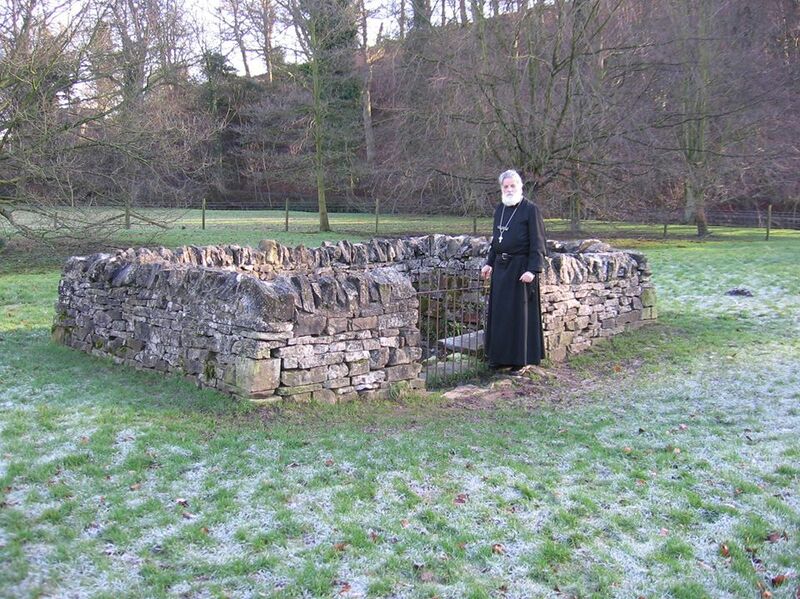 Metropolitan Hilarion indicates in a letter that he would like to see an Hermitage established in Scotland. 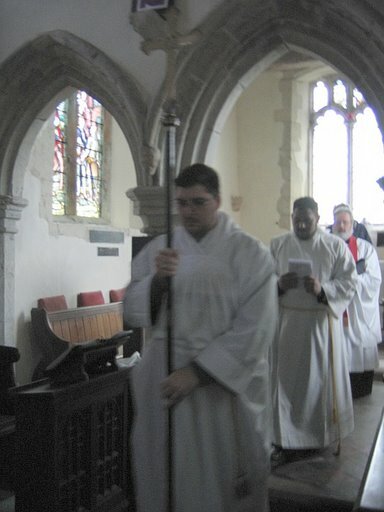 Fr Michael after the Liturgy. With a blessing from Metropolitan Hilarion and from Metropolitan Kallistos, Fr. 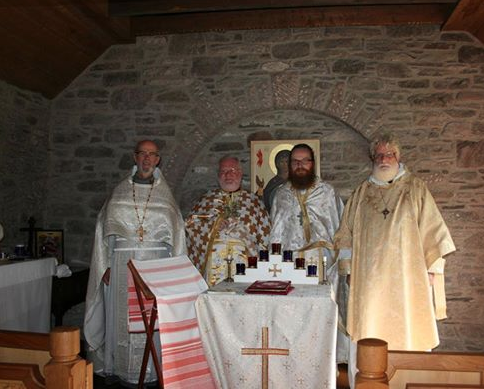 Michael ran the annual Orthodox retreat on Iona. 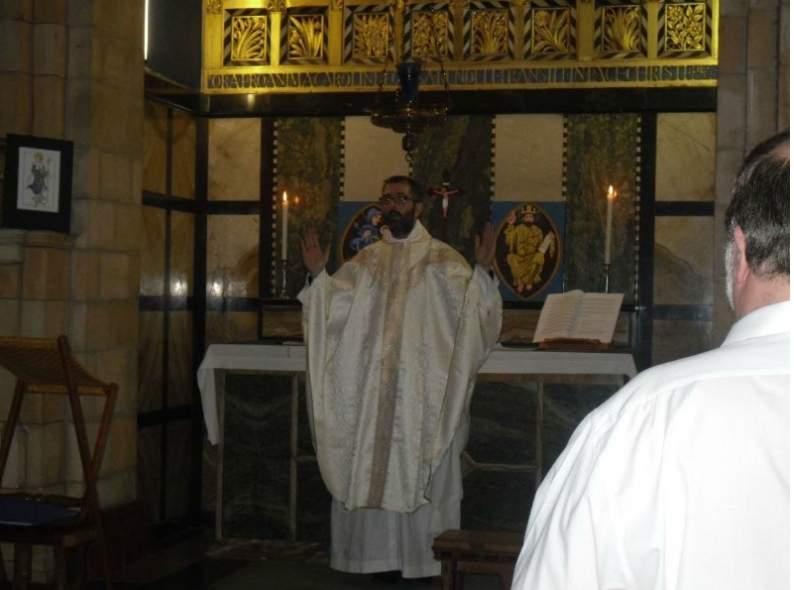 Here he is singing Evensong with the retreatants in Saint Oran’s chapel. Fr. Michael concelebrating with Metropolitan Hilarion at the Ordination of Edward whom Fr Michael had originally Baptised. 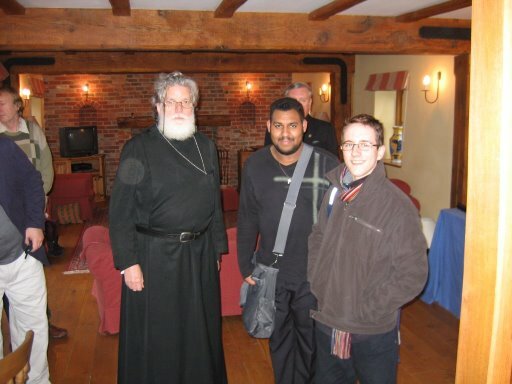 Fr Michael was staying at the Metropolitan’s house for discussions about the future of Western Rite in the UK. Fr. 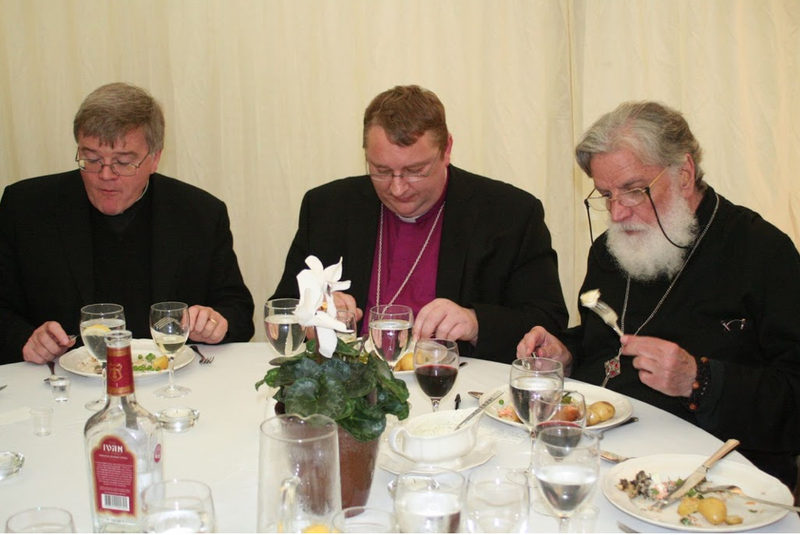 Michael concelebrating with Scottish clergy from several parishes in Scotland. Fr. Thomas and the people at Headington. This year has been mainly given over to writing books and running retreats. 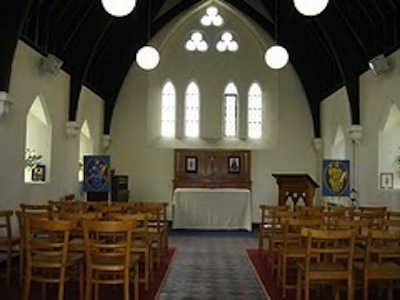 The chapel at Bickleigh originally built in AD600 and never a ruin, documented since AD800, we do our retreats here now. 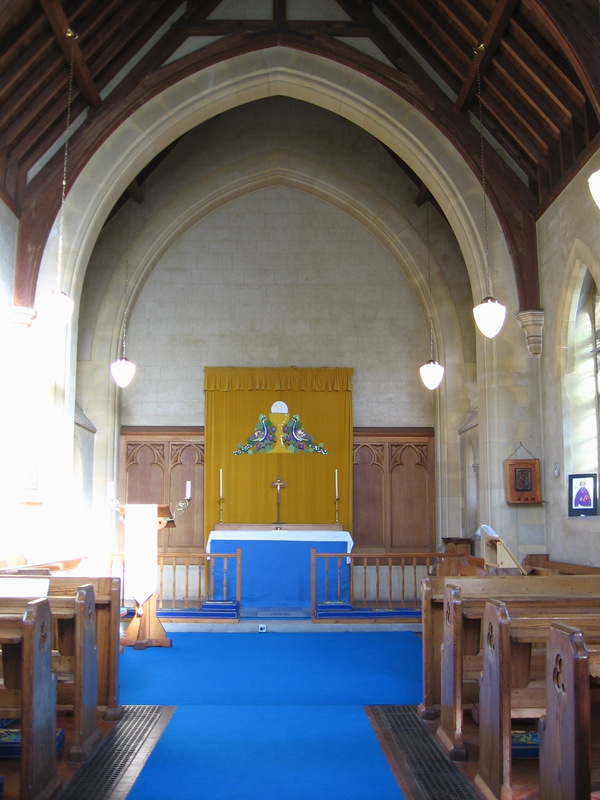 Since it is privately owned, we have no worries with and church authorities.